One of the reasons we decided to do a series of blind tastings was to see for ourselves if the hype surrounding some of the more heralded breweries is deserved, especially given the controversial nature of beer ratings these days. It’s sometimes helpful to block out all the noise and just let your tastebuds take over. Our first two events revealed some surprising results that made us take notice of a few lesser touted breweries and beers. This time, our tasting proved that sometimes the hype surrounding a brewery or beer is well deserved. A snapshot of our recent blind tasting event, Farmhouse Ales on the Farm. 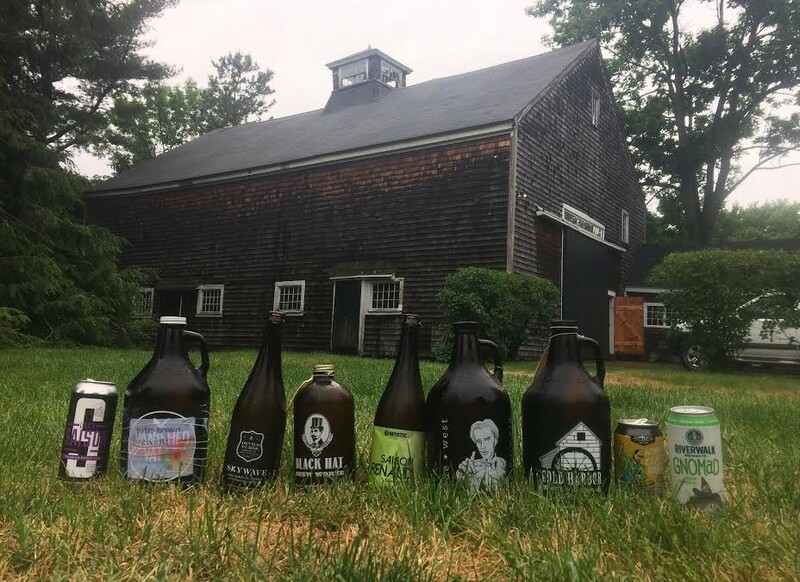 On an overcast Saturday at my father-in-law’s picturesque home in North Andover, complete with a historic barn, we tasted 9 locally brewed farmhouse ales, also referred to as saisons. Our panel of evaluators was comprised of friends, family, and a handful of serious beer people including honorary Brew Bro Eric Murray, connoisseurs Barry Fradkin and Mary Mackenzie (she works retail at Trillium’s Fort Point location) and Issac Boucher, brewer and canning line master at 603 Brewery in Londonderry, New Hampshire. 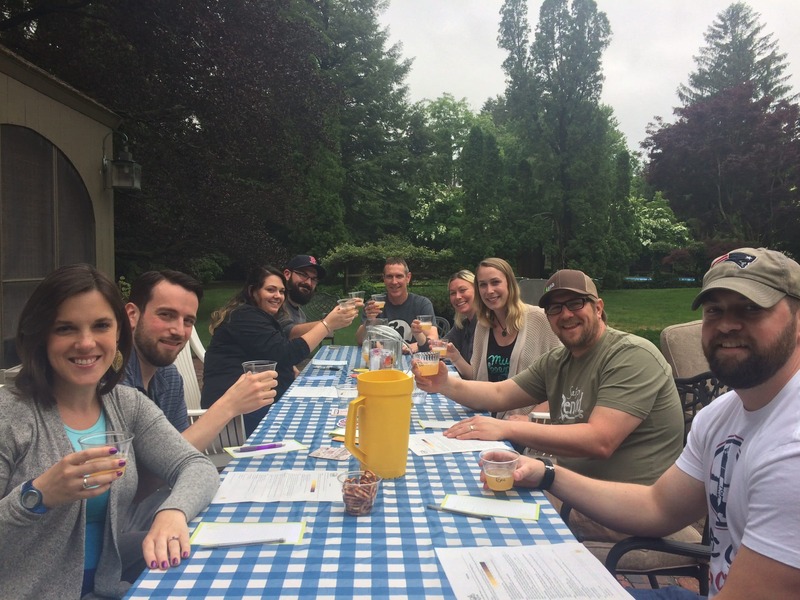 Our format consisted of an initial taste of all nine beers, which we divided into three groupings, followed by a final taste of the top three selections to chose an overall winner. We served the beers in alphabetical order by brewery name, with Lola’s Saison from Easthampton’s Abandoned Building, an Imperial Belgian Saison from Bridgewater’s Black Hat Brew Works, and Cambridge Brewing Company’s Working Class Hero all clashing in the first bracket. Abandoned Building’s offering was liberally hopped, and Black Hat’s had a nice boozy kick, but CBC’s floral and citrusy characteristics made it the clear favorite. The second ensemble featured 1717 Farmer’s Friend from Westborough’s Cold Harbor Brewing, Skywave Provisional Saison from Cape Cod brewer Devil’s Purse, and Summer in Hawaii from Ludlow based home brewer Jute Town Brewing. In the most competitive of the preliminary contests, the funky Devil’s Purse offering, made with 2 strains of Brett, and the truly unique Jute Town brew, which intrigued everyone but strayed furthest from the saison style, were edged out by Cold Harbor’s refreshing and highly crushable brew. Made with its own in-house yeast, Mystic’s flagship beer has come to define the modern American Farm House Ale. Saison Renaud from Chelsea’s Mystic Brewery, Gnomad from Newburyport’s RiverWalk, and Charleville Saison from True West in Acton made up the final pool of hopefuls. All three received votes, but Mystic’s flagship beer coasted through to the championship round. After one more taste of each of the finalists, Mystic’s Saison Renaud emerged victorious. In full disclosure one of the tasters had previously worked at the Chelsea brewery, but we declined his offer to recuse himself because the final tally wasn’t close. For many of the tasters, Saison Renaud was the beer they most enjoyed drinking, for others it was the selection that best represented what they’d come to expect from the style. Ironically, as All About Beer explains, the recent trend is toward “an emphasis on individuality, rather than uniformity in modern American farm house ales.” We found that to be indicative of our selections as well, which varied from boozy to bubbly to funky and everywhere in between. It also reinforced our belief that craft beer drinkers should decide for themselves what they like to drink rather than relying on recommendations or ratings. There’s no better way to do that than to host your own blind tasting. If you need a couple of fun guys to round out your panel, send us an invite. We’re always happy to help, especially when it comes to drinking craft beer. Cheers.